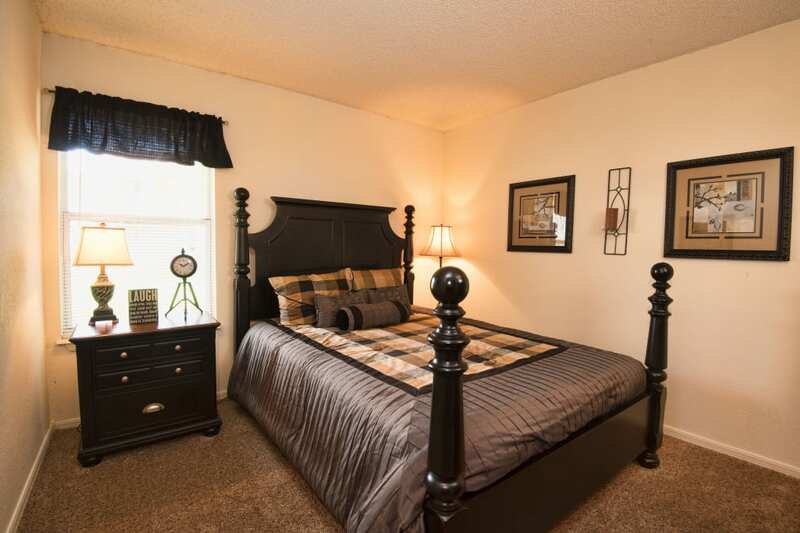 Aspen Park Apartments offers studio, one, and two bedroom apartments for rent in West Wichita, KS. Aspen Park Apartments provides a unique value when an excellent location, great apartment features and stunning community amenities matter most. Enjoy an easy commute from our excellent location, which offers close access to I-235. At Aspen Park Apartments, laundry days are easier than ever. Select units provide washer and dryer connections for those opting to bring their own appliances. Our community also includes onsite laundry facilities, which means you won’t have to drag your hamper to the laundromat and spend your weekend time there. Relax on your private patio or balcony, which extends your living space outdoors – the perfect place to watch a KS sunset. You’ll appreciate our two bedroom roommate floor plans, which include large, spacious closets and a layout designed for privacy. 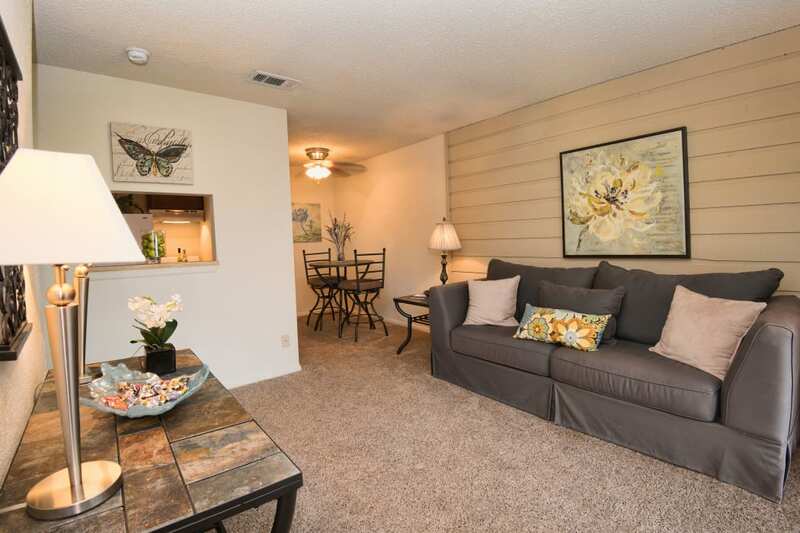 All of our floor plans feature ceiling fans in the dining rooms for increased airflow and carpeting throughout. Select homes include beautiful, cedar accent walls, which give your home a personalized and stylish feel. Contact Aspen Park Apartments for more information about current availability and to schedule your personal tour of our apartments for rent in West Wichita.